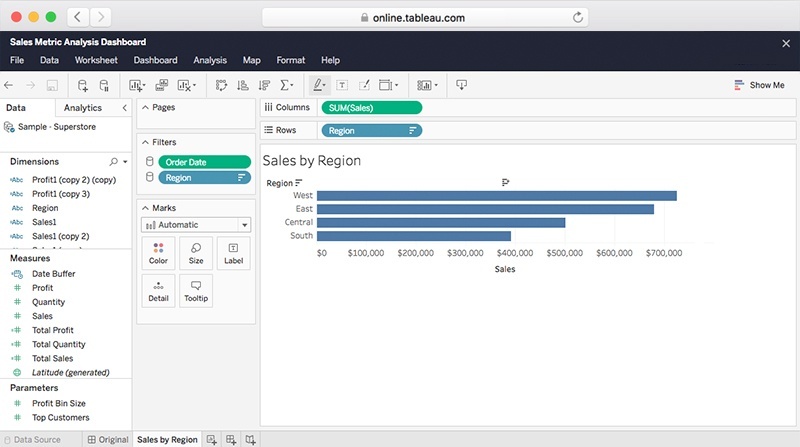 Tableau empowers everyone to see and understand their data. 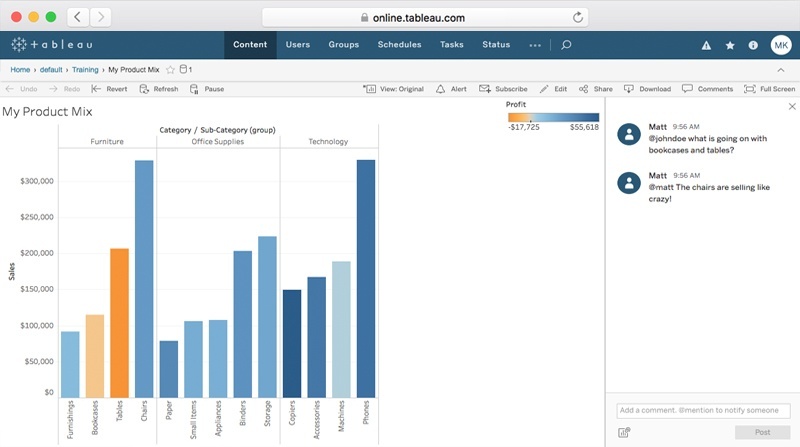 On your Tableau site, you can ask and answer everything from the simplest to the most complex questions of your data more intuitively than ever before. Your site is your new playground. When you sign into Tableau, the first page you see will include the Projects, Workbooks, Views, or Data Sources menus. As you click these options, each page shows related content you can access. As Creators and Explorers share workbooks, your site will begin to build a content library full of useful data. Exploring this content is easy. The quick search field at the top of the page searches your entire site. Filter your search to find matches that are specific to each resource type, such as modified date for workbooks or connection type for data sources. You can also find workbooks or views that you've marked as favorites. Both quick search and filtered search support attributes to help set the scope of the search. Navigate through your site to find the data that will help you better ask and answer questions. In the navigation bar, move from Projects to Workbooks to Views to Data Sources to find what you’re looking for. Interacting with data visualizations is one of the most important aspects of Tableau. Workbooks and visualizations are full of new insights and the way to coax them out is through interaction. Want to dig deeper and answer questions the minute they occur to you? Check out these simple interactions. Filter data to further explore what’s important to you. Use a filter to narrow the timeframe or remove the extraneous data points, so you can zero in on what you need. Sort data to get a new perspective. Use the sort functionality to see your data in a new way. When you select a mark or a subset of marks in the view, you can see information about the marks in the tooltip that appears. You can also quickly filter the marks you select from the view, as well as view their underlying data. Start the conversation. Adding comments to a view is quick way to collaborate with your team around data. In the toolbar above the view, select Comments, type your message and click post. If you’d like to remove your comment, click the X in the upper right corner. Favoriting content makes it easy for you keep an eye on the data you need. To favorite a view, click the star to add the content to your favorites list. You can then quickly access your favorites from the top navigation whenever you need them. Using the Subscribe button in the toolbar, you can subscribe to dashboards and get updates delivered directly to your inbox on a set schedule. You can also subscribe other site users if you have the permissions to do so. Data driven alerts help you keep on top of your most important data. Get an email when a mark crosses a visual threshold. First, select the axis you want to alert on. Then click the Alert button in the toolbar. Finally, choose the trigger condition and when to send it. The Tableau mobile app is a convenient way to keep your data at your fingertips. Go from question to insight in just a few taps. Ask your own questions, seek out the answers you care about. Select, filter, and drill down with a tap of your finger. Interact with your data using controls that are automatically optimized for touch. Download for iOS and Android. As an Explorer in your site, you share the responsibility with Creators to create new content on your site. You can either start with an existing workbook that’s already on your site or start building from scratch. Navigate to a workbook on your site and open it up. Select the pencil icon next to the workbook title to edit the view. As an Explorer, you’re able to answer your own questions by exploring data right in the browser. Start by selecting Workbooks from the top navigation. Then the Connect to Data window appears. Connect to published data sources from the On This Site tab, and select your chosen published data source to start building something amazing. 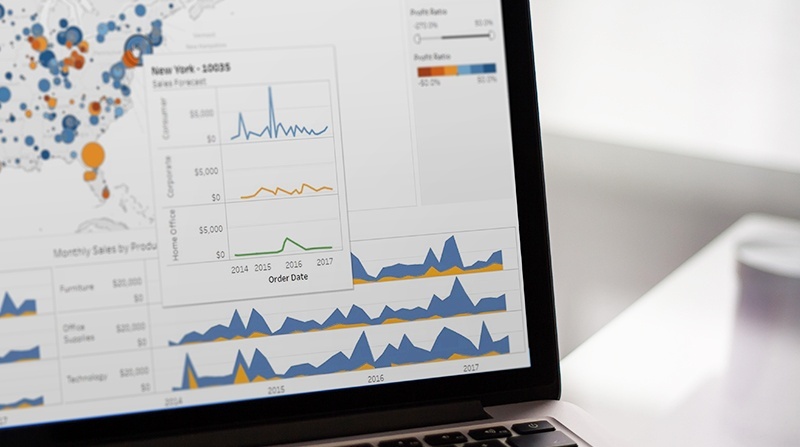 Discover ways to improve your visualizations to increase understanding about your data and enable faster, more meaningful answers. The most important step you can take to make a great visualization is to know what you’re trying to say. It is vital that your visualization has a purpose and you are selective about what you include in your visualization to fulfill that purpose. Below are some tips to apply visual best practices to your workbooks. Check out the whitepaper for the full list of tips. When you’re building a visualization it’s important to understand what questions your audience already has. What answers do you find for them? What other questions does it inspire? What conversations will result? Your viewers should take something away from the time they spend with your visualization. Understanding what you’re trying to convey in your visualization is a critical first step. Knowing which visualization can best convey that purpose is equally important. Whether you’re trying to see trends over time, or comparing and ranking a group of items by a set of criteria, the chart type you choose will help your audience better comprehend the information in your visualization. Many chart types let you put multiple measures and dimensions in one view. In scatter plots, for example, you can put measures on the X-or Y-axis, as well as on the marks for color, size, or shape. A rule of thumb is to put the most important data on the X- or Y- axis and less important data on color, size, or shape. Sometimes a simple change in how to your labels are oriented can greatly increase how quickly viewers understand what’s being conveyed. If you find yourself with a view that has long labels that only fit vertically, try rotating the view. You can quickly swap the fields on the Rows and Columns shelves to achieve this change. Sharing is caring. Don’t keep your insights to yourself. Share them with colleagues. Sharing views with members of your site is easy. 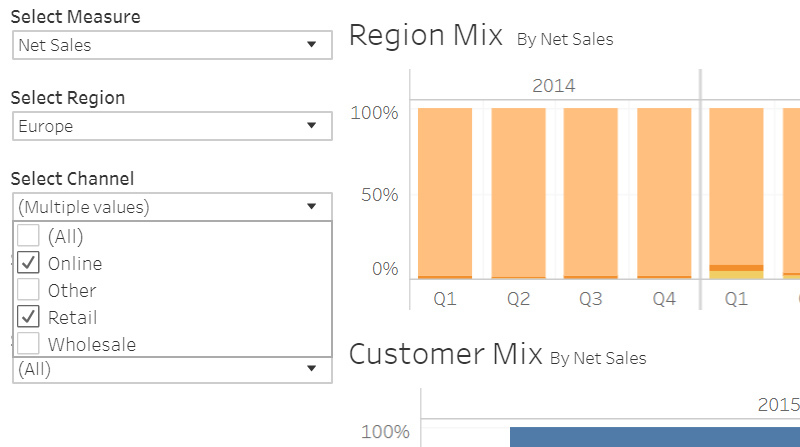 Maybe you want to show a coworker a specific Viz within your workbook. It’s easy to share links with others by pasting them into an email. Simply click the share icon in the toolbar, copy the URL in the Link field, and past it into your email. If you want to be more targeted in what you share, try sharing a Custom View. Rather than sending a link to the original dashboard and describing how to find your specific insight, you can save the specific set of filters and highlights you’ve already created in Tableau. When you are ready to save your custom view, click the Original View button in the toolbar. Give your custom view a name and click Save. Now your team can easily access your custom view by selecting it from the list in the Original View menu. You can also copy and share the URL, just as you did above.